The power of 0.5% pure retinol paired with Phytic Acid, Phenylethyl Resorcinol and Gluconolactone delivers the ultimate nighttime treatment for those prone to breakouts and hyperpigmentation. This exceptional formulation provides unsurpassed corrective benefits for the fastest results possible without a prescription. This formula is recommended for combination to oily skin. In the evening, apply a pea-sized amount after cleansing and toning. Begin by limiting use to twice a week, gradually increasing application frequency to every other night, and then advancing to each evening or as tolerated. Follow with the appropriate PCA SKIN moisturizer. Mild irritation may initially be experienced and is not a sign of a negative complication. This product is indicated for use in the evening only. 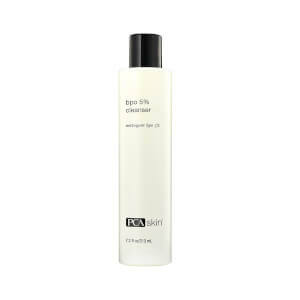 Daily broad spectrum sun protection is critical while using this product. Water/Aqua/Eau, Hamamelis Virginiana (Witch Hazel) Water, Caprylic/Capric Triglyceride, Hydroxyethyl Acrylate/Sodium Acryloyldimethyl Taurate Copolymer, Allyl Methacrylates Crosspolymer, Alcohol, Gluconolactone, Retinol, Polysorbate 20, Maltodextrin, Sodium Benzoate, Lactic Acid, Dipotassium Glycyrrhizate, Glycerin, Phytic Acid, Bakuchiol, Vigna Aconitifolia Seed Extract, Phenylethyl Resorcinol, Syringa Vulgaris (Lilac) Leaf Cell Culture Extract, Arginine, Sodium Citrate, Ascorbic Acid. I usually don't write product reviews but this one deserve it! I always had clear skin throughout my teen years. However, due to the build up of not washing my face regularly, I suffered from acne for 8 whole months. I tried nearly everything from middle end to high end products but it didn't work. I wish I found this sooner because right now it's my HG! I've only used about 2 months, and my skin is about 90% clear of acne. I began seeing my skin all cleared up after 1 month of using it. It definitely brought back my clear skin. I can't say enough about this treatment! Recommend it! Please don't forget to use sunblock after using this!